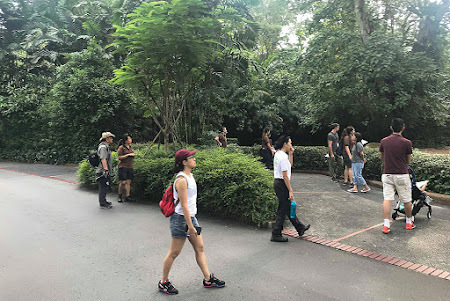 The Singapore Zoo, previously known as the Singapore Zoological Gardens, but often referred to by locals as the Mandai Zoo, was first opened in mid 1973. 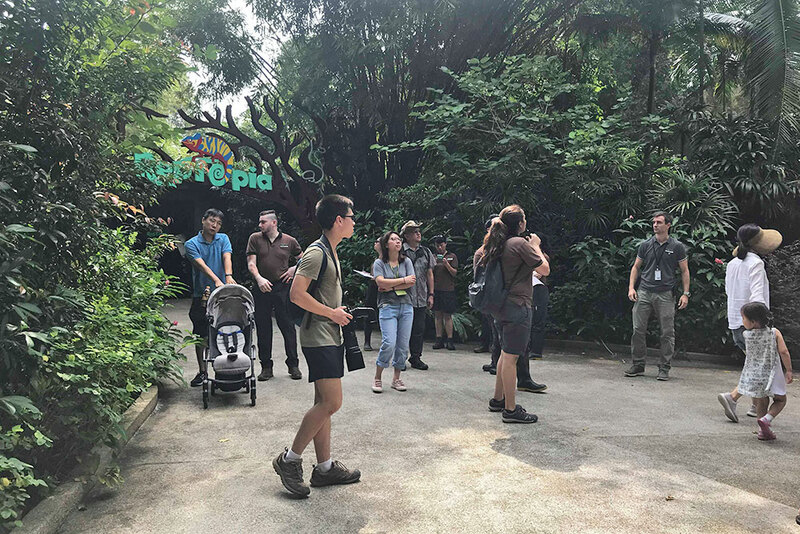 Sitting on a site of about 28 Hectares, the Singapore Zoo was one of the first to feature "open zoo" exhibits in the region, where animals are displayed in natural habitats without the use of cages. 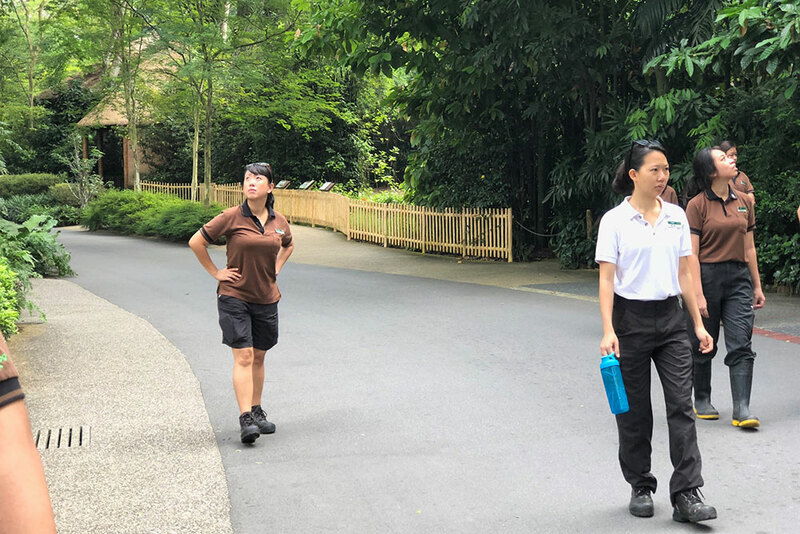 Over the years, the success of the Singapore Zoo, under the stewardship of Wildlife Reserves Singapore (WRS) continued. 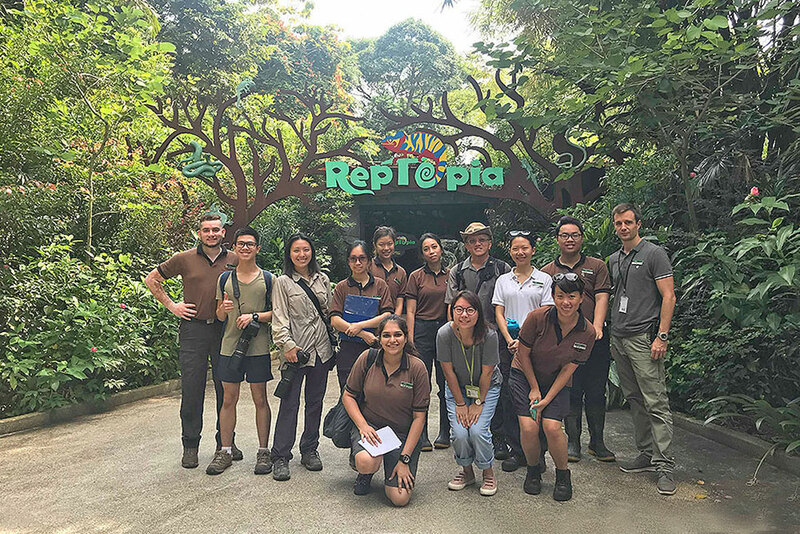 WRS also manages the popular Night Safari (the world's first nocturnal wildlife park), River Safari and the Jurong Bird Park. 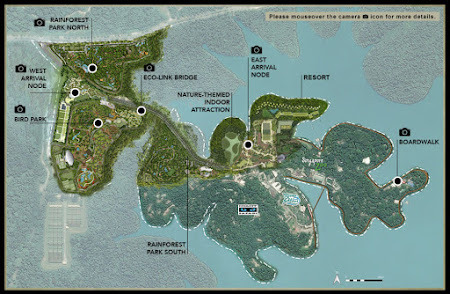 In 2015, Singapore investment company Temasek partnered the Singapore Government to spearhead the rejuvenation of Mandai into an integrated wildlife and nature heritage precinct in Singapore. Within the next decade or so, the Singapore Zoo, Night Safari and River Safari will be joined by two new cousins, the new Bird Park and the Rainforest Park, creating an integrated nature and wildlife experience for all visitors to Mandai. 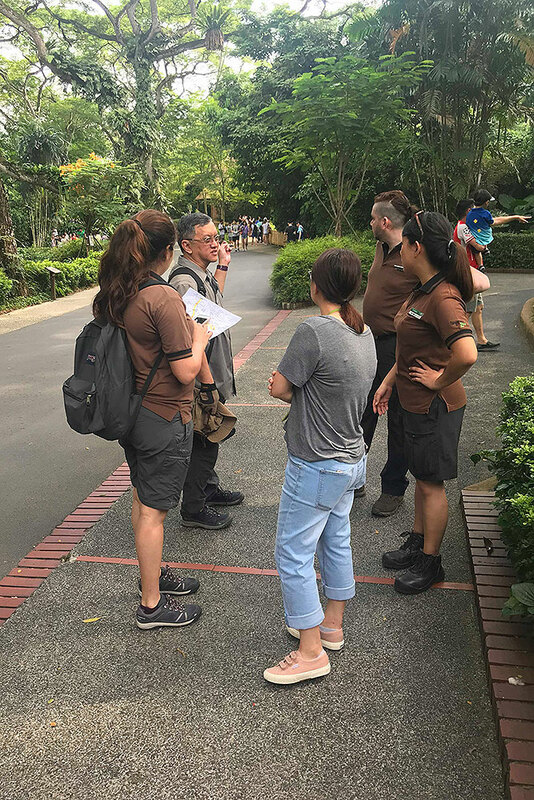 This weekend, ButterflyCircle members were invited to assist the WRS Invertebrate Team to conduct baseline surveys on butterfly biodiversity at the Singapore Zoo. 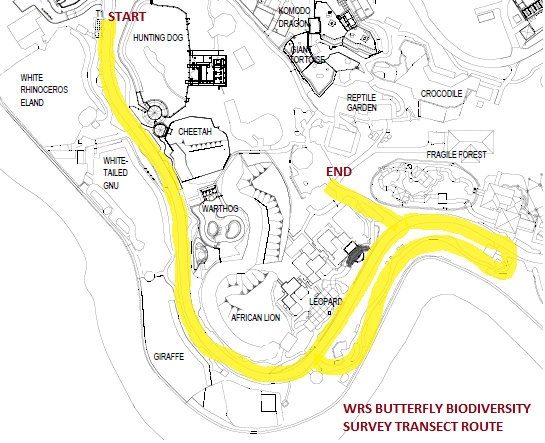 The WRS Team intends to enhance butterfly biodiversity through its Butterfly Biodiversity Project in the coming months. 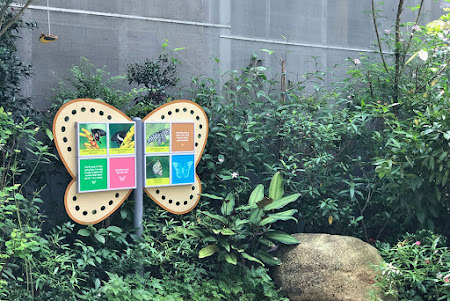 This project aims to improve the butterfly fauna in the Mandai precinct by planting host and nectaring plants for local butterflies within the parks. Looking up for the butterflies! Our morning survey started with a short briefing by Delvinder Kaur, the coordinator of the project, and explaining the survey methodology. When we commenced the survey just past 10am in the morning, the Saturday morning crowd had already begun streaming in. 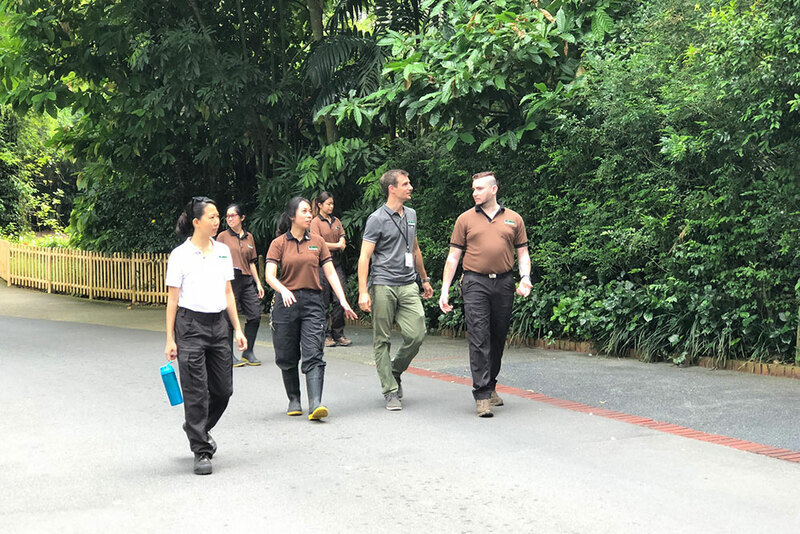 The transect-based survey took us on a trail starting near the white rhino exhibit and ending at the Fragile Forest aviary. The overcast morning was not the most ideal weather for butterfly watching, but there were a few Lemon Emigrants, Grass Yellows and a lone Striped Albatross flying about. Delvin also explained that the trails that we were surveying were no longer fogged with pesticides and hence more butterfly-friendly. 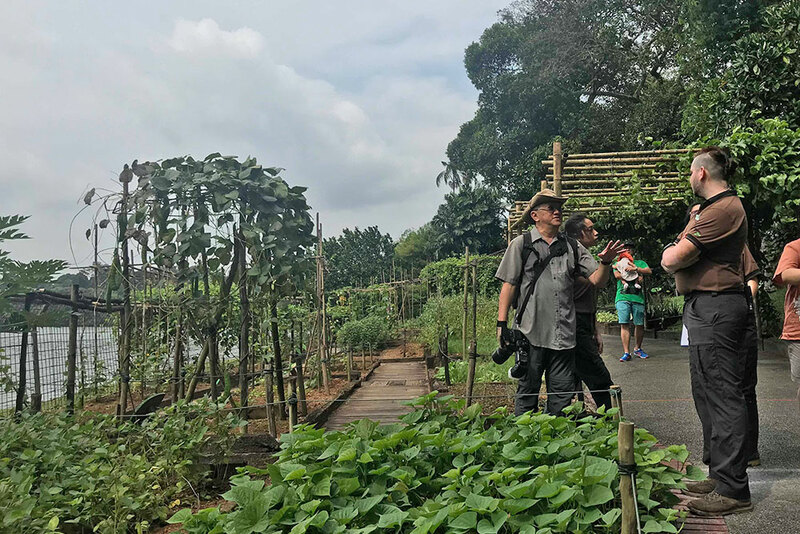 Our walk brought us to the tropical crops area of the Zoo, which was just adjacent to the shores of Upper Seletar Reservoir Park. I recall this area from past visits to the Zoo, and where a trellis of Aristolochia acuminata, the host plant of the Common Birdwing and Common Rose, was cultivated. Both these species did not make an appearance this morning, though. 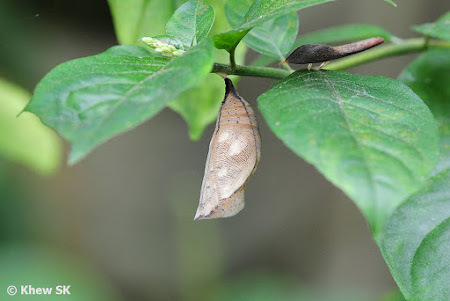 We spotted a Leopard fluttering restlessly about, and a few more Lemon Emigrants trying to puddle at the freshly-tilled soil on the plant beds. I also noticed that the host plant of the subspecies pratipa of the Autumn Leaf still lined some of the trails around the area. We first spotted this subspecies, which is different in appearance from the subspecies bisaltide which is the more commonly observed subspecies all around Singapore, at the Zoo. 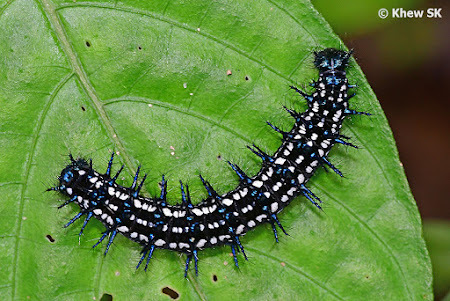 The caterpillar of subspecies pratipa is distinctly different from the more common bisaltide in that the spots on its body are white, instead of orange. 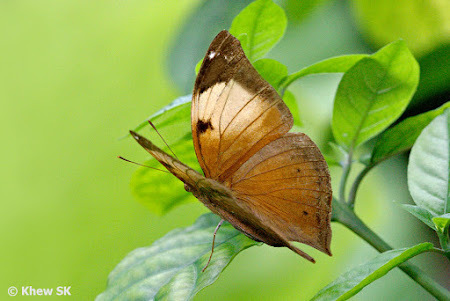 Photographic records of subspecies pratipa dated back to Aug 2007 when we were on a survey at the Zoo. This subspecies has not been seen in Singapore in recent years. 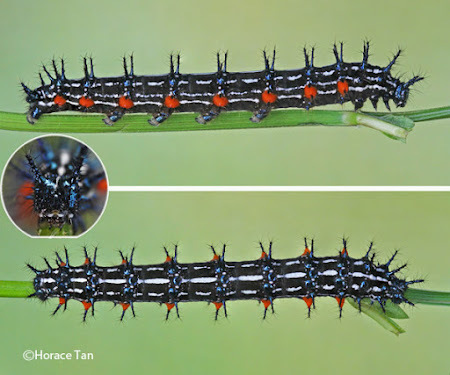 Hopefully, the caterpillars will appear at the Zoo again. The survey ended just near the new Reptopia exhibit, where we called it a day. We spotted a couple of Common Palmflies frolicking around the bushes. 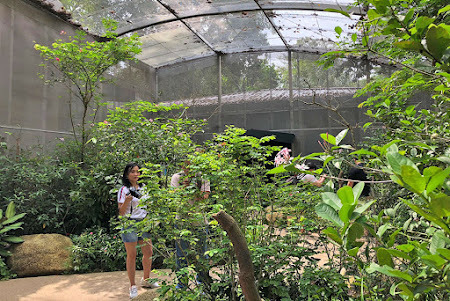 We took the opportunity to visit the Fragile Forest and the new butterfly aviary. This butterfly aviary was a recent add-on, but is facing some issues with predatory ants and a bunch of unwelcome moth caterpillars. 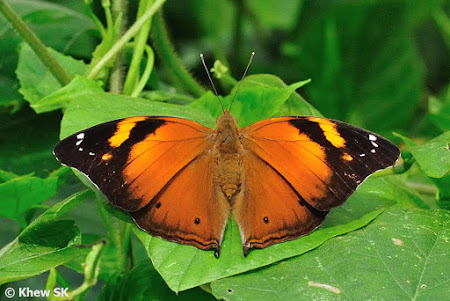 The Clipper (Parthenos sylvia) and the orange form-chrysippus of the Plain Tiger were the two most common species flying in the aviary. A quick tour of the back-of-house, and visiting the breeding facilities that were still very much the same as I remembered from over 10 years ago, we ended our butterfly survey for the day. I also recall that back in 2011, the Zoo was helping to translocate the Metallic Caerulean (Jamides alecto ageladas) from the Mandai Orchid Garden that was being demolished. It would be good to check if this species can still be found at the Zoo. 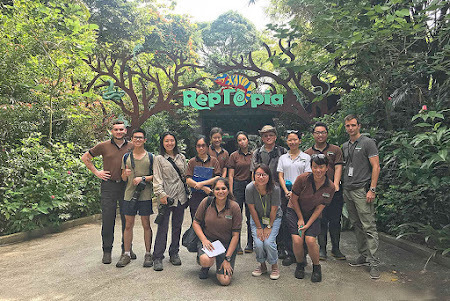 It was an interesting re-visit to the Zoo and we look forward to the forthcoming butterfly surveys in the months ahead. 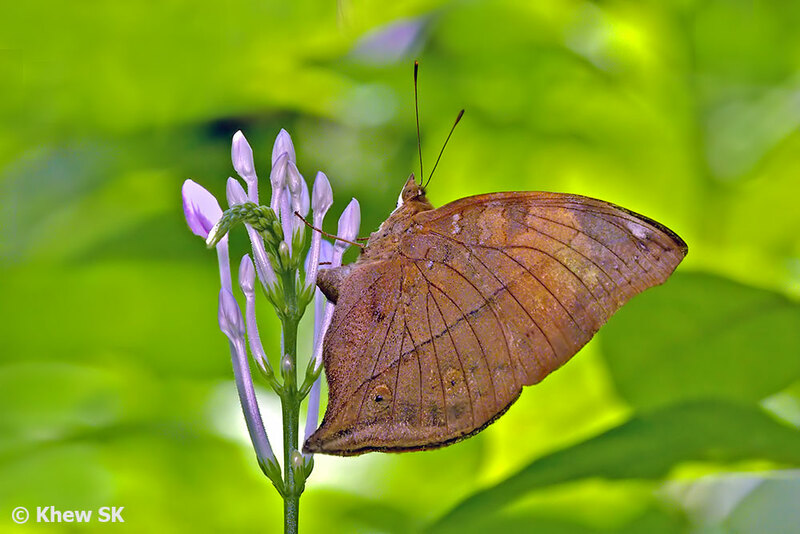 With a more targeted strategy of planting more host and nectaring plants for butterflies under the Butterfly Biodiversity Project, we hope to see a greater diversity of species at the Zoo in the near future.